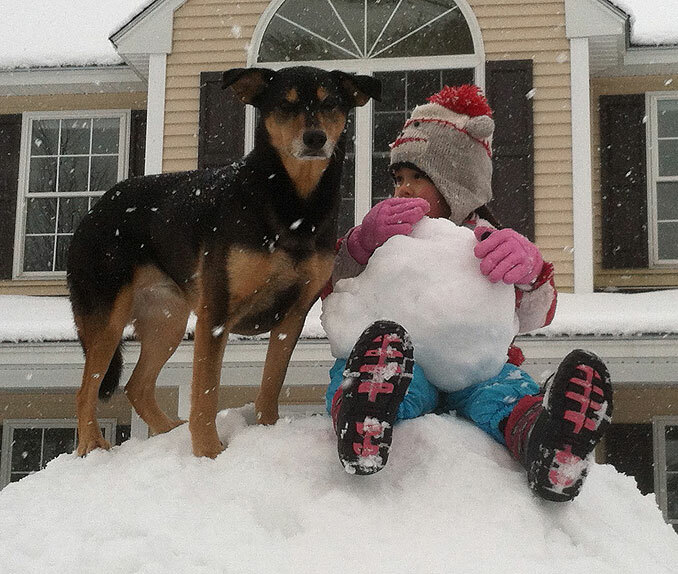 Newton, Massachusetts is one of the most dog-friendly communities in the state. The city is well-equipped with resources, open spaces, and services that accommodate dog owners and support their dogs’ well-being. As recently as 2010, the city was home to approximately 3,500 licensed dogs and an estimated twice as many unlicensed dogs. 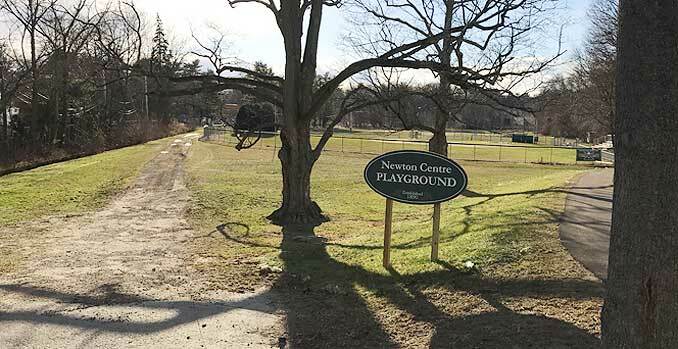 This makes Newton dog owners one of the largest user-groups of green spaces in the city, according to the non-profit organization, The Newton Conservators, Inc.
Below you’ll find answers to frequently asked questions regarding dog licensing and off-leash permit requirements, as well as links to help you access application forms and other resources. Do I need to obtain a license to own a dog? Yes. According to the Dog Licensing page of the City website, all dogs six months old or older must be licensed annually prior to, and effective on, April 1st each year. If your dog was licensed last year, the upcoming year’s tag will be mailed to you, so be sure to keep the current year’s tag affixed until you receive the new one. Licenses are available at the City Clerk’s Office at city hall, 1000 Commonwealth Avenue in Newton. Currently, a dog license costs $15.00, or $10.00 for spayed or neutered dogs. Owners must include a current Rabies Vaccination Certificate with their application. More information can be found here on the City Clerk’s homepage of the official city website. Does my dog need an off-leash permit? If you wish to visit any of the off-leash dog parks, you must have an off-leash permit. Off-leash permits are not only required for commercial dog walkers, but every dog owner who wishes to walk their dog off-leash in any of 7 designated off-leash dog parks. How and where can I obtain an off-leash permit? Off-Leash Permits (as well as combined licenses and off-leash permits) are also available at the city clerk’s office. A combined dog license and off-leash permit costs $65.00, or $50 for spayed or neutered dogs, and $100 for non-Newton dogs. You must include a current Rabies Vaccination Certificate with your application. Can I renew a dog license or off-leash permit online? Yes. Licenses and off-leash licenses can be renewed at the Online Bill Payment Center. The City typically offers two Rabies Vaccination clinics throughout the year, in the Spring and Fall, for all dogs (as well as cats and ferrets). Pets must be caged or leashed, and escorted by a person over the age of 14. The fee is currently $15.00 per pet. Owners can also license their dogs during a vaccination clinic. For a 3-year rabies vaccine, owners must bring proof of previous vaccination. For questions regarding whether your pet is eligible for a 3-year vaccine, call the Health & Human Services Department at 617-796-1420. In case of large scale emergencies or disasters, the Newton Massachusetts Animal Response Team (NMART) operates pet shelters. For more information, contact the City Clerk’s Office at 617-796-1200. What are the rules for off-leash dogs in designated off-leash parks? 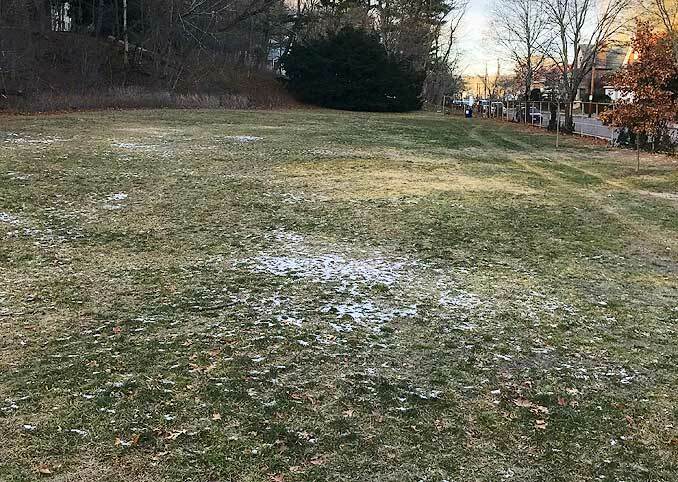 The Newton Parks & Recreation Department offers these basic and common-sense rules that apply to all designated off-leash areas. Who is responsible for pet waste (feces) disposal in parks? All dog owners are required to pick up their pet’s waste and dispose of it properly in the blue trash barrels in area parks. Please familiarize yourself with Blue Trash Barrel locations. Directions: Enter from Lowell Ave. Directions: Enter from Centre St., Homer St.,Tyler Terrace, Bowen St. The city’s website lists the current Off-Leash Recreation Specialist. 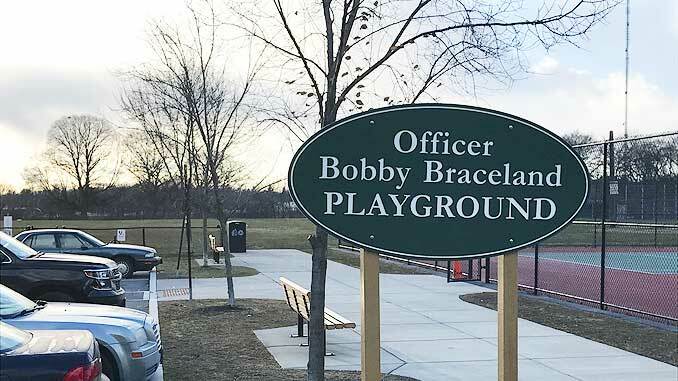 Collaborates with the Newton Police Department’s Animal Control Officer and the City’s Off-Leash Area Working Group (OLAWG). Travels throughout the City to all parks and other City-owned land to help monitor on- and off-leash activity in coordination with the Animal Control Officer. Helps to educate and familiarize off-leash area users, park visitors and abutters with the Off-Leash Recreation Program. Visit the Off Leash Recreation Program page for tips on what you need to do before you go to the park, and once you’re at the park. 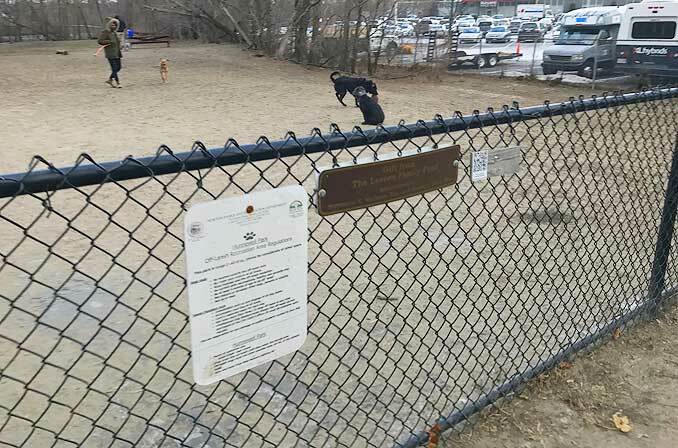 Dogs in DCR Parks: The Massachusetts Department of Conservation and Recreation welcomes on-leash dogs at most DCR parks, forests, and reservations. However, there are a number of locations where dogs are not allowed, mostly for public safety, public health, or habitat concerns or deed restriction purposes. Dog owners in Massachusetts can find answers to frequently asked questions about rules for dog owners recreating with their dogs here. 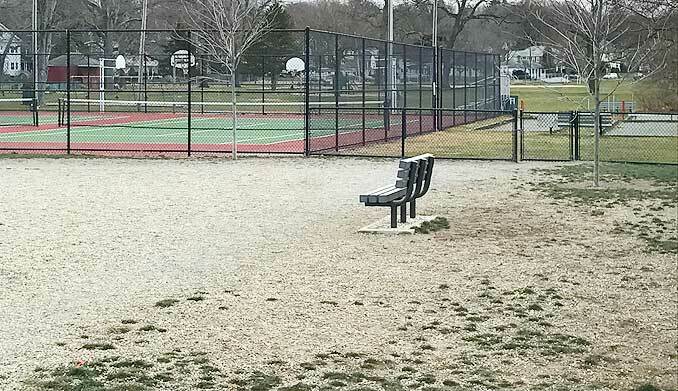 Massachusetts Parks and Recreation Rules: The Massachusetts Department of Conservation and Recreation publishes a document, Parks and Recreation Rules. Pages 30-32 of this document clearly outlines the rules of conduct in the section titled, Rules of Conduct on DCR Properties – Pets, Horses, and Other Domesticated Animals. 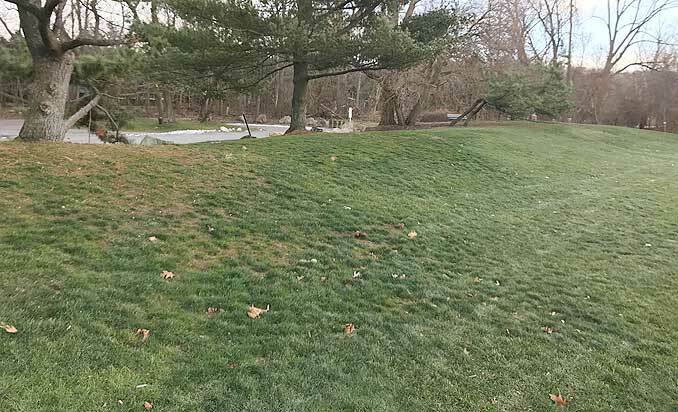 Dog Monitoring in DCR Parks – DCR personnel may direct that a pet, horse, or other domesticated animal be removed from DCR property by the animal’s owner or handler. Failure to abide by such direction may subject the owner or animal to eviction or banning from the DCR property, and may subject the owner or handler to a fine. Vaccination – Any pet or other domesticated animal required by law to have a rabies vaccination must have proof of the vaccination. DCR Rule Regarding Tying or Hitching Dogs – A pet, horse, or other domesticated animal may not be hitched or tied to a fence, flagpole, tree, bush, shrub, or any other DCR property, object or structure unless designated otherwise. 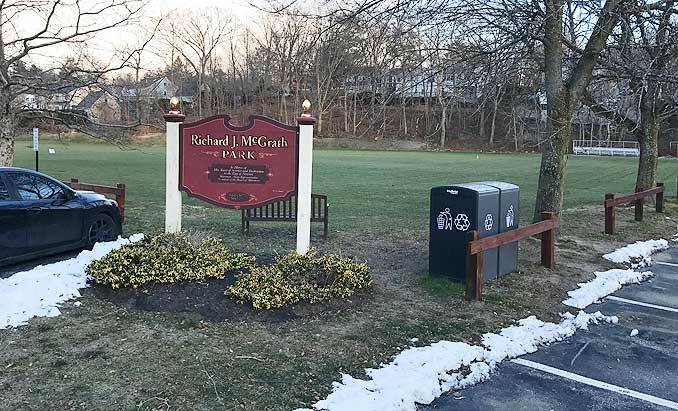 Rules Regarding Pet Feces Disposal – All persons who bring pets onto DCR property shall properly remove and dispose of the pets’ feces. DCR Rules for Commercial Dog Walkers – A commercial dog walker must obtain an annual permit to use DCR property. When engaged in commercial dog walking, a commercial dog walker must display his or her commercial dog walking permit on his or her person and, if applicable, on his or her vehicle dashboard.